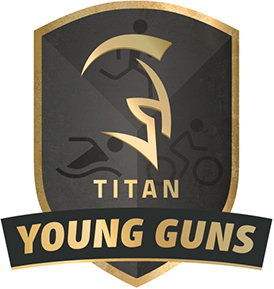 The TITAN Young Guns Athlete Ambassador program aims to reward hard working, committed and passionate junior athletes throughout the Asia-Pacific region. The Young Guns program is designed upon a foundation of family values, fun and focus, teamwork and leadership. We aim to deliver an environment that is focused, positive, fun and disciplined. 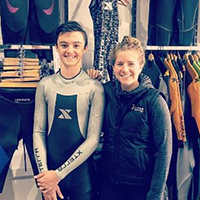 Our Young Guns program enables young athletes to flourish and be the best they can be - and rewards them for embracing a positive attitude, motivation and a personal desire to achieve, not just in sport, but in life. Hometown: Henley Beach South, Adelaide. Two words to describe yourself: Approachable and Caring. What is the best advice you’ve been given? From my Dad before every training session and race: "Be the one who tries the hardest but has the most fun." What is your favourite motivational quote? “It never gets easier, you just go faster.” Greg Lemond. If you could participate in any sporting event in the world, what would it be? And, why? Compete at Kona World Championships, why? Because it’s something I’ve always wanted to do since starting triathlon. What is your most embarrassing moment in a race? Missing one of my first cowboy mounts and dislodging my shoe which nearly hit a female spectator. I’m at my best - when I am put under pressure. Do you have a weird food fetish? If so, what is it? Cold Rock Ice Cream. Bubble gum ice cream with pop rocks, gummy bears, cookie dough and sour worms. Are you a Woolies or Coles shopper? Coles, but wherever Dad takes me. What would you spend your last $50 on? Without question, Peanut Butter Clif Bars! Why do you choose to be aligned with TITAN? They are great people, they have made me feel very welcome and have included me as part of their multisport family and they are passionate about multisport.